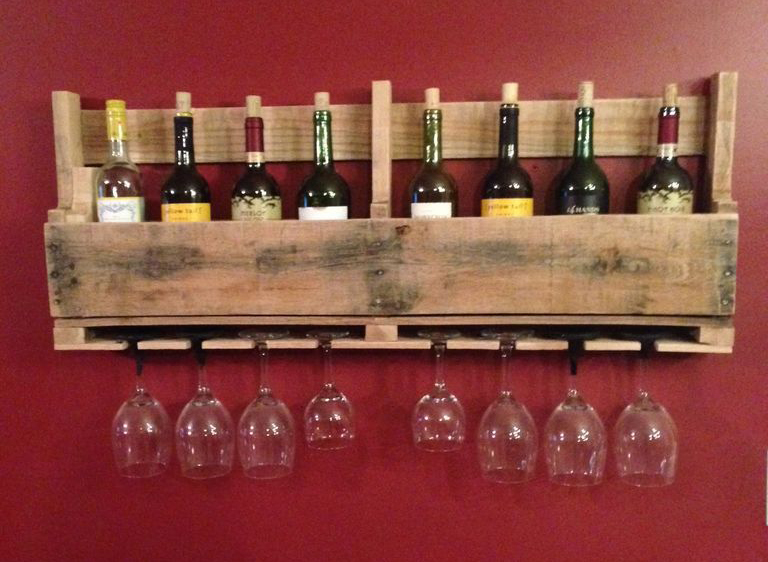 From an unnecessary more wooden pallet for cargo transportation it is possible to produce a simple but convenient shelf for storing bottles of wine and wine glasses. In principle, you can use for this purpose andnew boards, but in the wine cellars and cafes it looks better old wood. Plus, the manufacture of the old pallet will also be much cheaper, if not free of charge.